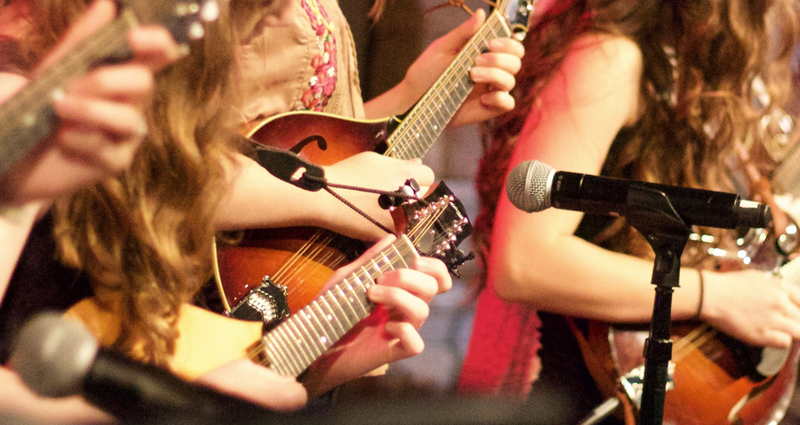 The Mandolin Track at the Annie Moses Summer Music Festival is a high-energy experience perfect for beginning or advanced players. Gretchen Wolaver of the Annie Moses Band and one of Nashville's premier mandolinists leads the ensemble, combining classical technique with fun repertoire from Bill Monroe to Chris Thile. A wide variety from bluegrass to classical! Mandolin players are given featured moments at Festival events consistent with their skill level. However, due to the nature of the instrument, mandolinists are also asked to select a secondary instrument or craft to maximize their involvement in our live performances.